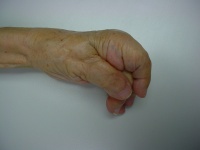 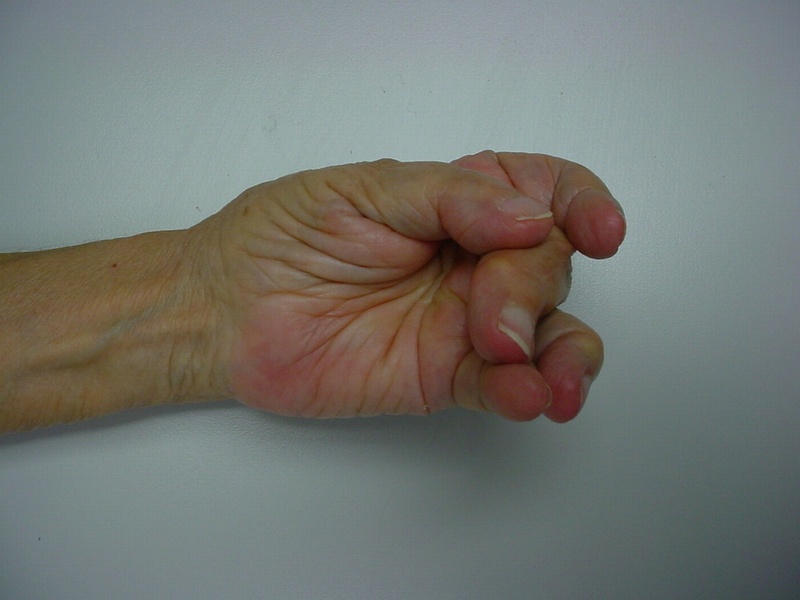 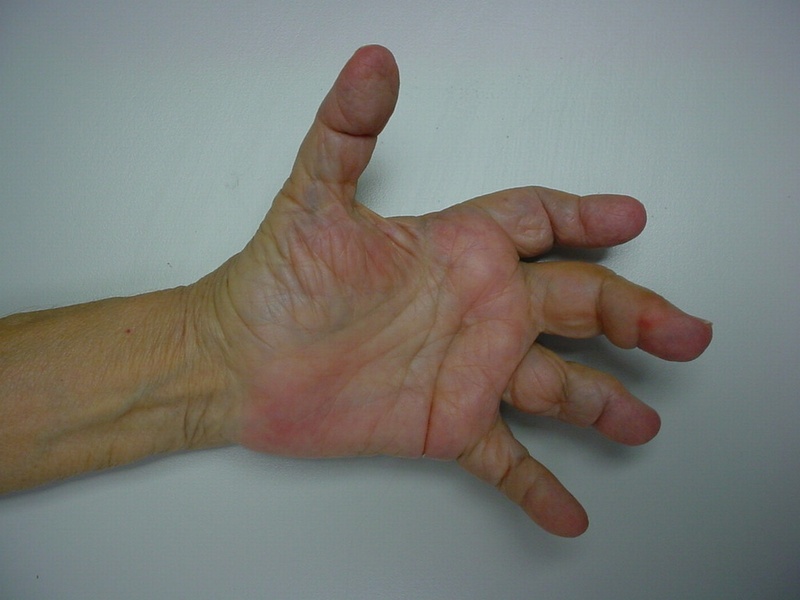 Rheumatoid arthritis commonly affects the hands in a variety of ways. 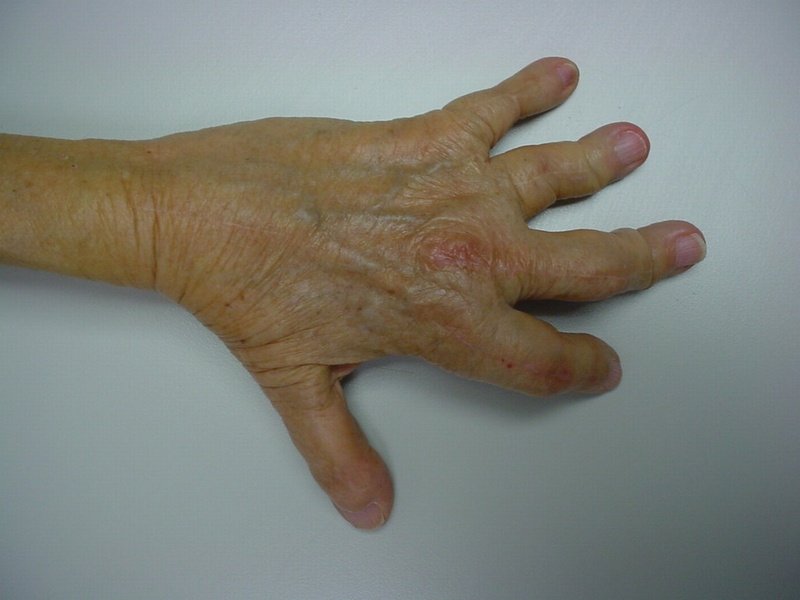 Although more effective medications have lessened the number of patients requiring reconstruction for rheumatoid hand deformities, surgery is needed for some cases. This case demonstrates MCP arthroplasty using bone graft from the metacarpal head to recreate the dorsal cortex of the proximal phalanx lost from chronic subluxation. 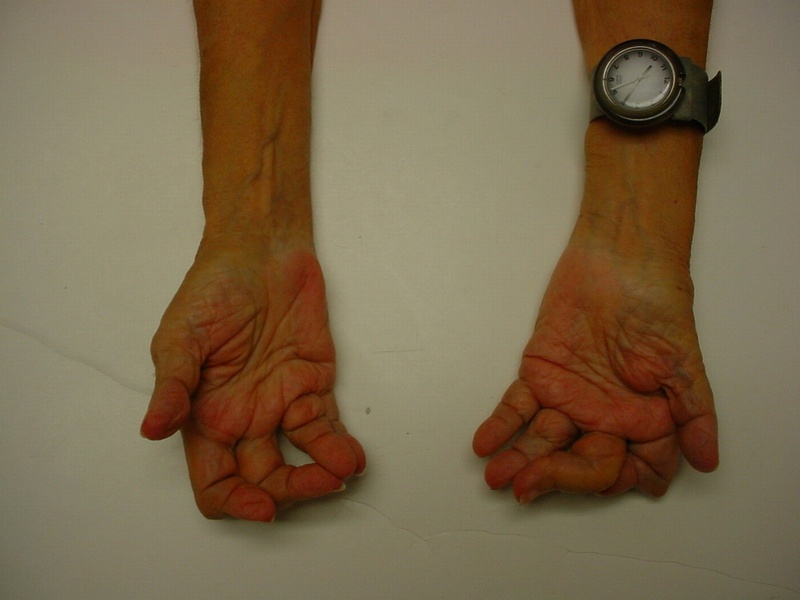 This woman has undergone multiple rheumatoid procedures elsewhere. 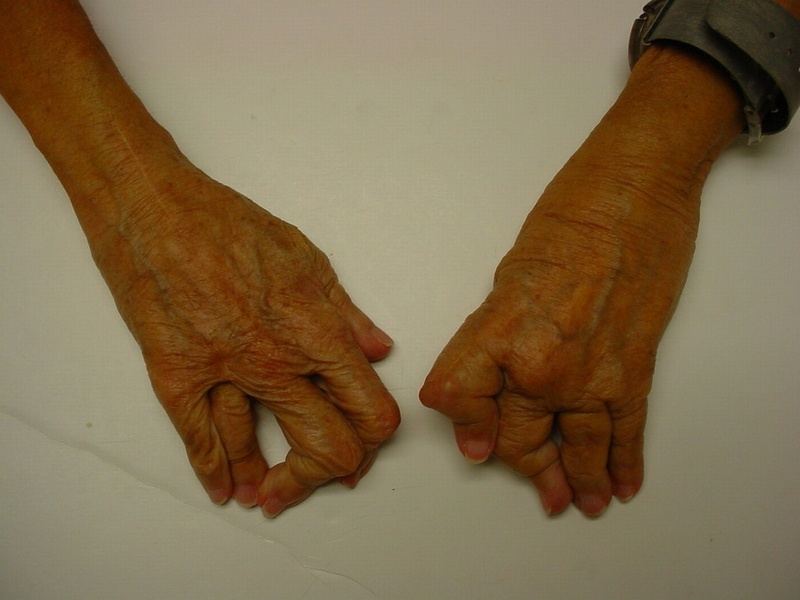 On the right, these included right wrist fusion and MCP silicone arthroplasties. On the left, silicone arthroplaties of the thumb MCP, index and middle PIP joints and arthrodesis of the thumb IP, ring and small PIP koints. She wanted improvement of her left hand function, which was hindered by wrist pain and flail fingers. Her left index and middle fingers are grossly unstable. 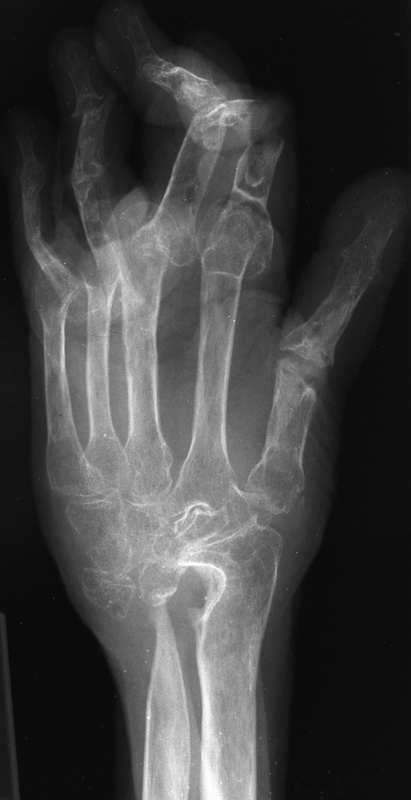 Xrays show radiocarpal collapse, proximal migration of the proximal phalanges, flail PIP joints and loss of the proximal half of the dorsal cortex of the proximal phalanges. 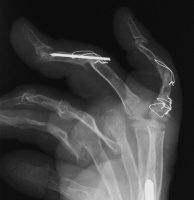 Her greatest desire was pinch reconstruction. 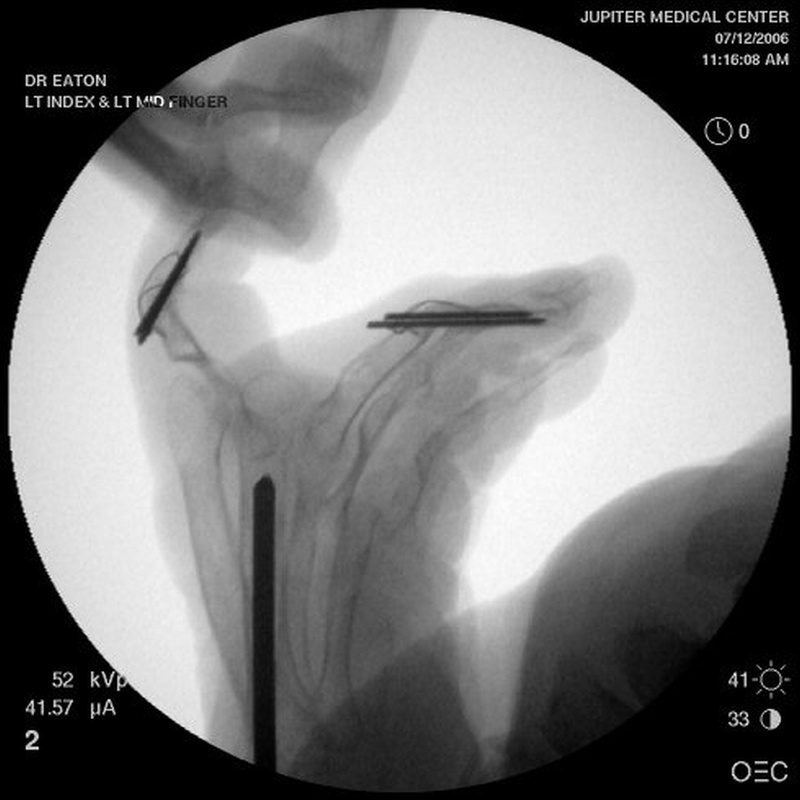 This was approached in two stages: wrist fusion, implant removal and fusion of the index and middle PIP joints, followed by index and middle MCP arthroplasties. 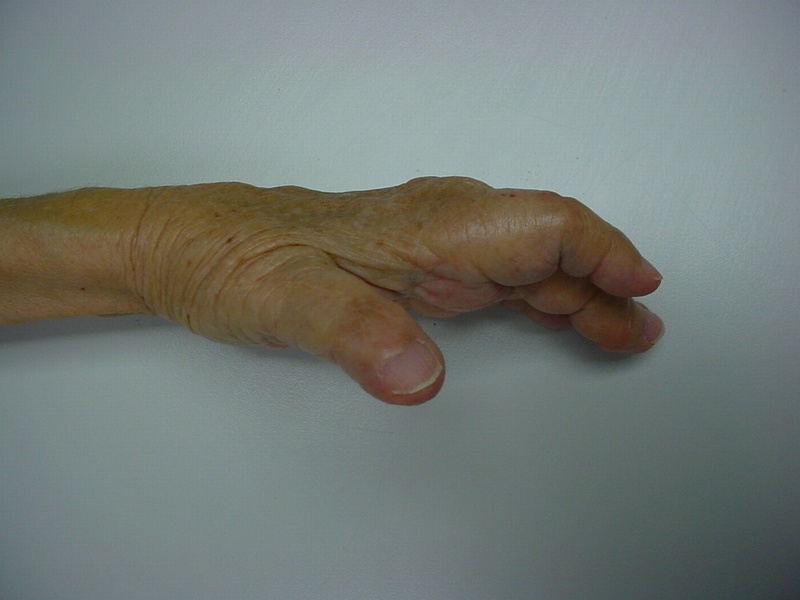 There are several alternative approaches, including index MCP fusion and revision PIP arthroplasties. 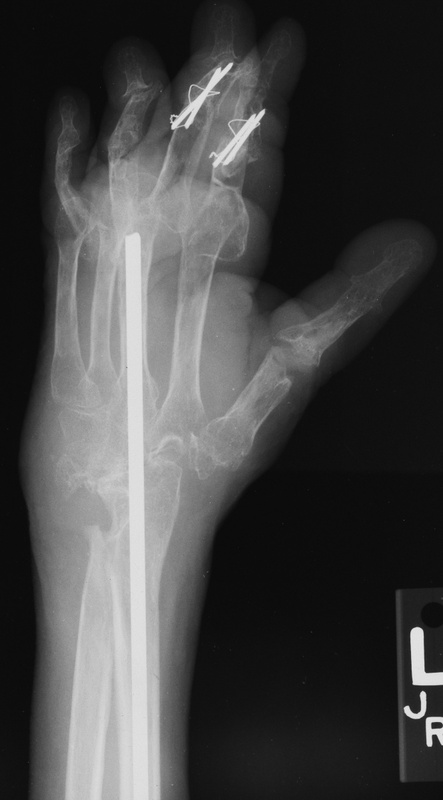 Below are xrays after the first set of reconstructions. 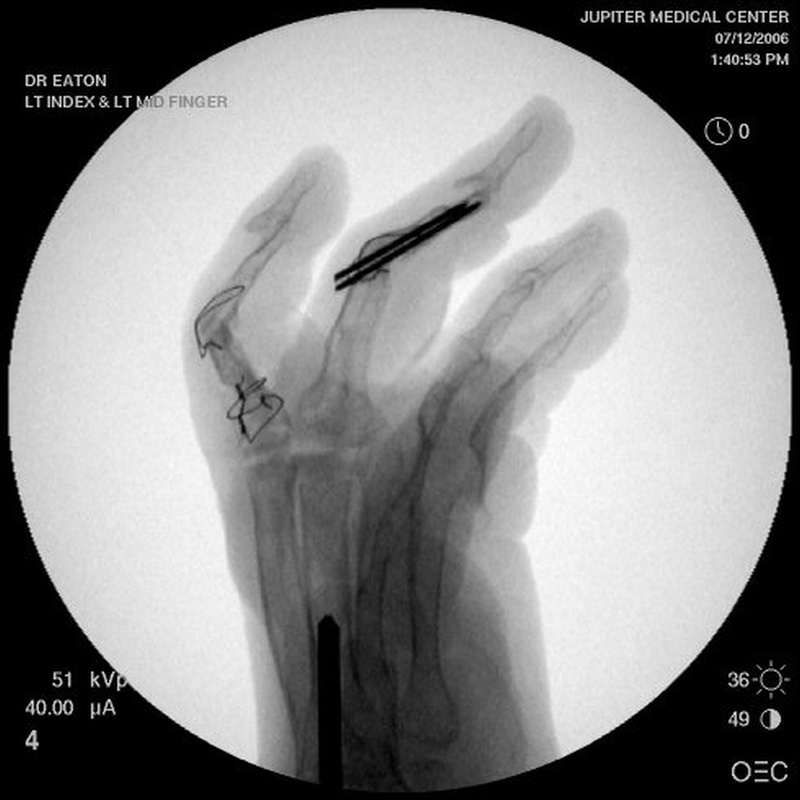 For the second stage of her reconstruction, the index proximal phalanx did not have adequate dorsal cortex to support an implant arthroplasty, and bone graft from the metacarpal head was used to reconstruct this. 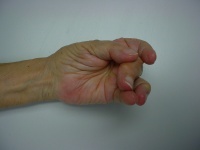 The technique is shown in this video. 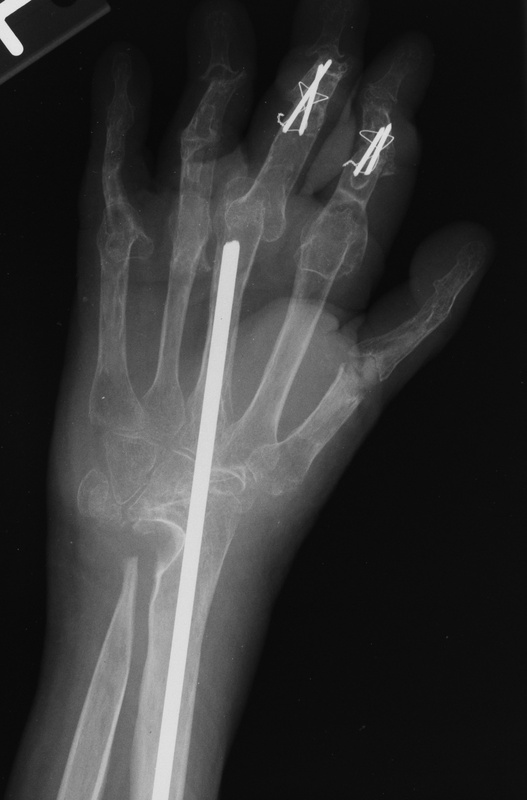 Metacarpal head removed with saw. 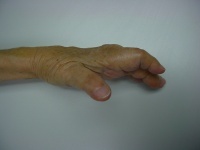 Proximal phalanx stem path developed. 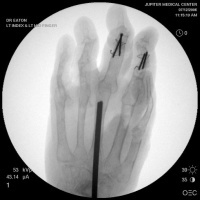 Jarvik suture passer for cerclage wires. 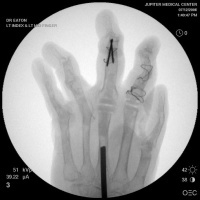 RCL ligament bone suture placed. Bone graft tailored and secured. Trial and final implant placed. 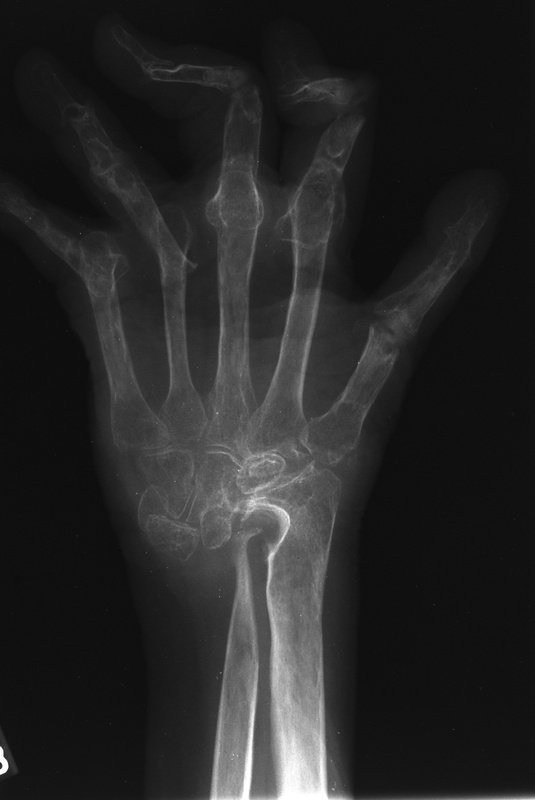 Final radiographs, three months postoperative.